William Cross was the son of Margaret Cross. 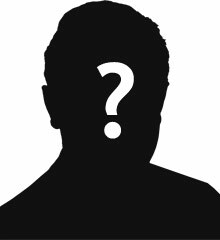 He was born on 14 February 1871. By the 1901 census his mother was a widow. The family had a farm in Bovean, Drumaspil, Tyrone.He emigrated to New Zealand, where his war records report he worked as a railway labourer. 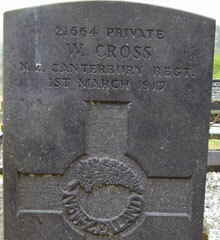 William Cross enlisted on 1st June 1916. He was 45 years old. Lance Corporal William Cross embarked from Wellington, New Zealand (Unit 16th Embarkation) on 21 August 1916 destined for Plymouth. He took scabies and then suffered burns and was eventually returned to Dungannon William died on 1 March 1917 back home at the Union Hospital, Dungannon. Grave Ref: 384 (South West of Church). There is 1 Commonwealth burial of the 1914-1918 war here.